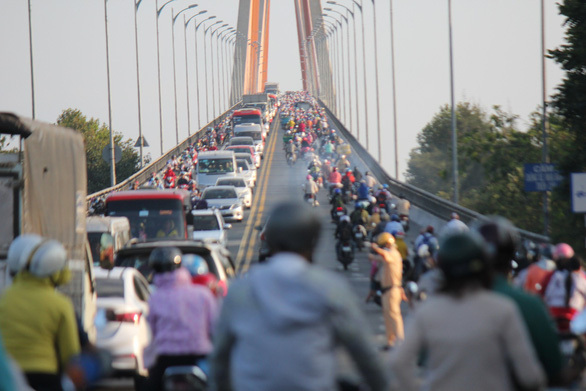 Rach Mieu Bridge, which lies along a major route connecting Ho Chi Minh City and provinces in Vietnam’s Mekong Delta, was heavily congested on Saturday afternoon as people started returning to the southern metropolis at the end of the Lunar New Year (Tet) holiday. 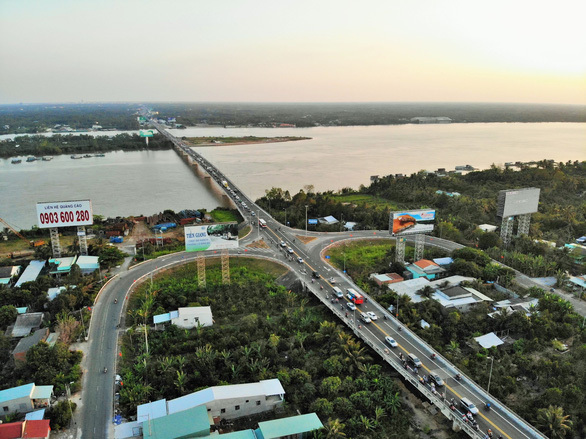 Located along National Highway 60, Rach Mieu stretches 2.86 kilometers long over the Tien (Front) River to connect My Tho City in Tien Giang Province and Chau Thanh District in Ben Tre Province. 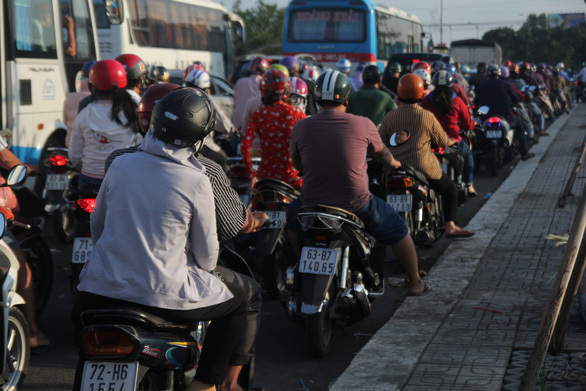 Traffic police divisions in Ben Tre and Tieng Giang Provinces foresaw the situation and had their officers stationed at traffic hotspots, but their efforts appeared to be fruitless as congestion was still serious as of 3:00 pm. 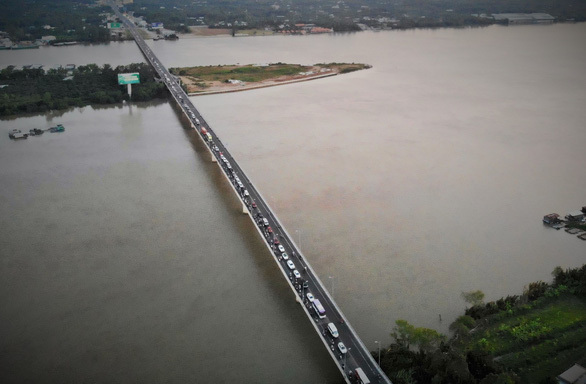 They tried their best to control the traffic flow and later had to temporarily shut down all six gates of the toll station at the bridge to alleviate the gridlock. 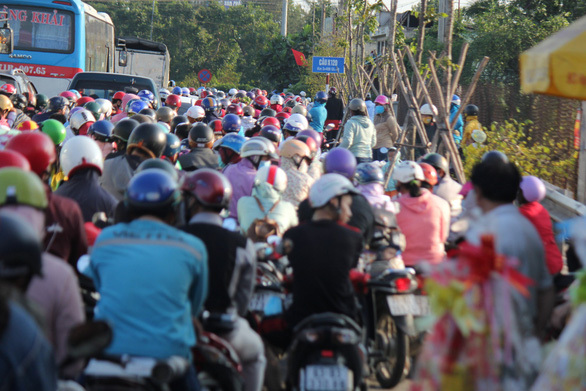 The bottleneck is expected to continue along the route on Sunday and is likely to be worse as the traditional holiday officially ends, with most people resuming work on Monday. The Lunar New Year began on February 5 this year but preparation and celebration often take place a week before and after the date. 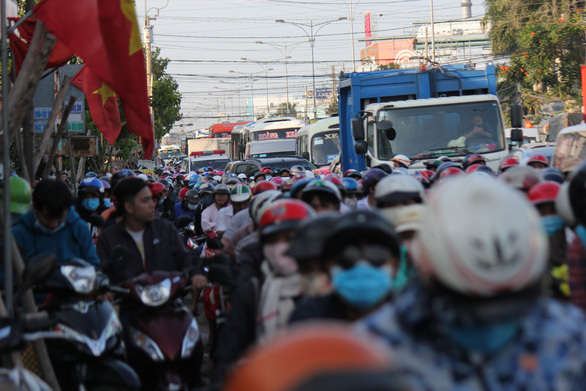 The majority of salaried workers were given days off from February 2 to 10, during which they would leave big cities and return to their hometowns to enjoy the holiday with their families.